To view an interactive prototype of this app, view it here on InVision. 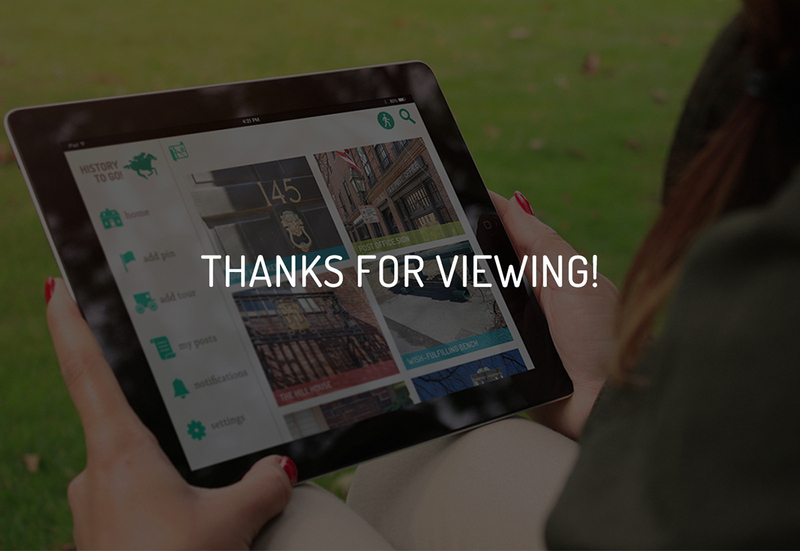 An app for experiencing everyday historical moments in a new, more convenient way. "History to Go" allows users to enhance their knowledge of local history and share their knowledge with other users, all while taking a walk. I was inspired by Boston’s Beacon Hill and all the small pieces of history there with such great stories—pieces of history that we walk by every day without noticing. 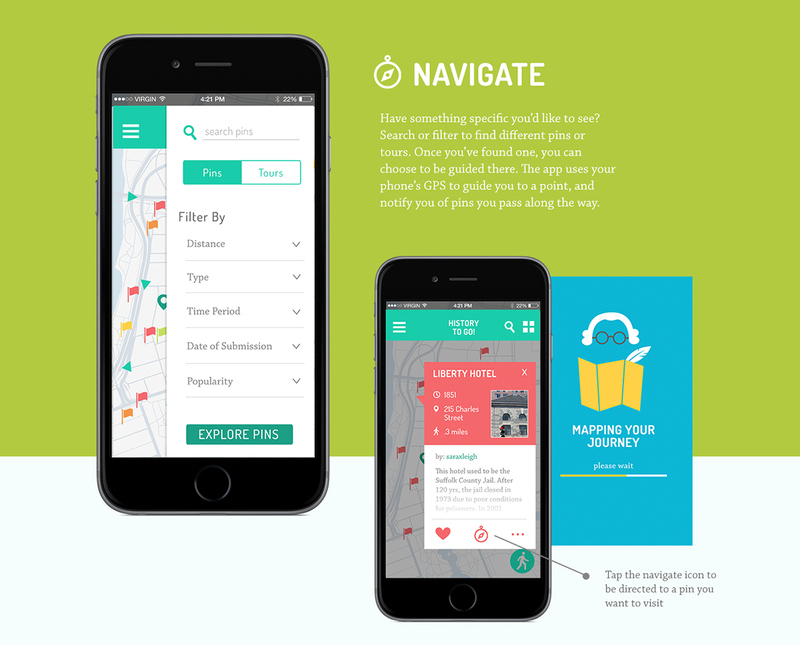 I wanted to create an app that allows commuters, locals, history buffs, or tourists to learn about the history that’s right under their noses. A project for Information Architecture II at MassArt.